Those who are a part of our faith community are keenly aware of our desire to have an impact upon our world in the Name of Jesus. - serve as our area’s drop-off center for Katrina relief and other devastating natural disasters. - send work teams to New Orleans as part of the American Baptist relief project "'Til the Work is Done" (for more than 10 years). Our belief at First Baptist is that God cannot be confined to any one location, group or denomination. God’s Spirit is greater than that. As such, while we are proud members of our denomination (The American Baptist Churches of Massachusetts and The American Baptist Churches, USA*), most of our people grew up in denominations other than Baptist - - providing us with a rich and beautiful diversity. One thing we believe passionately at First Baptist is that God loves people regardless of denominational stripe. Where one worships is not as important as that one worships. 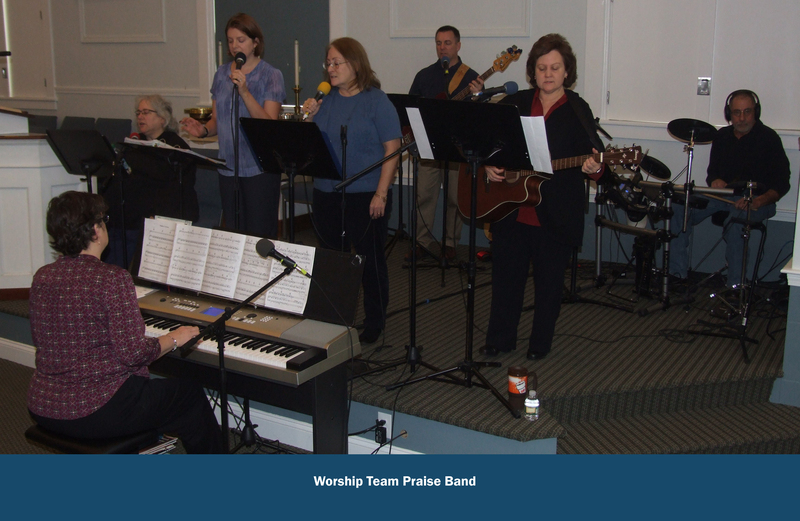 Our church has been particularly involved with the Cranberry Council of Churches; a group of mainline and evangelical churches committed to worship and service. We believe God has honored our commitment to inclusivity. - the importance of the Scriptures (as inspired words of God’s work amongst us). At First Baptist, we believe it is no accident that the first two fruits of the Spirit are love and joy. As we seek to LOVE God, neighbor and self, we seek to do it with great JOY! That is reflected in many of the activities offered in and through our church. We believe “the joy of the Lord is our strength” (Neh. 8:10) and try to tap that - - whether we are serving on mission tours in Central America or simply enjoying a meal together at church. Come play with us!